Wine has been a part of human history since ancient times. Very early in the civilized history of man, wine became one of the early wonders of the ancient world. It eventually led people of the period to understand the process of fermentation and played a certain role in the progress of humanity. After the initial experiments, this process was undertaken seriously, over following centuries, and wine became a regular part of human living than just another beverage or a symbol of celebrations. We know now that the mystery of the invention of wine may be related to a chance occurrence when some grapes, or more likely some other kind of fruit, were forgotten in a container by someone that went bad, or through fermentation, and eventually created a fluid that contained the resulting alcohol content. However, like most ancient inventions, wine has a couple of legends attached to its origin. The first such legend has it that when Noah stepped out of his famous Ark on Mount Ararat, in present day Armenia, he planted grapes for future wine as a symbol of the new world. The second legend is about the famous Persian King Jamshid and one of his wives. It is said that a wife of King Jamshid was expelled from his ‘harem’ and decided to commit suicide. In order to do that, she drank from a jar labelled with ‘poison’, but instead of dying, she experienced pleasant feelings and became light headed. It is believed that the jar might have contained fermented grapes that had turned into wine and produced that pleasant effect on her. She brought it back to the King who liked it so much that he not only accepted her back but also introduced this beverage to all fellow Persians. Now, that’s a true ‘they lived happily ever after’ story!! Based on actual findings, however, the most common theory of the origin of wine suggests that Georgia and Armenia were the first regions that started grape domestication and winemaking. In recent years, a full-scale winery was discovered in Armenia that is believed to be 8000 years old and it is a serious fact supporting this theory. Also, the earliest discovery of pottery, the invention of which is practically associated with winemaking, from this region, with traces of wine, goes as far back as to 8000 BC and so it may be said that wine has existed for nearly 10,000 years for sure! Some wine experts are of the view that due to its taste and look, grapevine was cultivated even earlier than wheat or other grains. However, this point of view looks far fetched as wild grapes, that would have been available at the time, are small and really sour. But, then again, it is possible that these very sour grapes were possibly domesticated to make wine in the first place and that eventually landed onto our tables as the ancient farmers aimed to improve their taste and quality. The key turning point in the progress of winemaking is, of course, tied to the so called Eurasian domestication factors. The main factor among these is that the Eurasia region has long belts of similar climates and that eventually allowed the grapevine to spread faster and farther to be cultivated just as in the original domestication areas. Thus, wine became a common beverage over a period of time, instead of staying as some exotic mysterious beverage. Soon, the wine culture, originally invented in Georgia and Armenia, spread to the Middle East as well as in the hands of the ancient Greeks. The Greeks would deeply implement this beverage into their culture and life and that would prove to be a huge contribution to the spread of wine. Wine being created in ancient China is mentioned in some ancient documents. However, it is still unclear whether wine in China was discovered independently or was borrowed but the wild grapes were definitely replaced by domesticated ones by the Chinese winemakers as soon as they were acquired from other parts of Asia. Nevertheless, in ancient times, wine became an established product in at least three regions, namely China, the Near East and the Mediterranean. Slowly, however, China lost the art of real winemaking to rice wines. Although Chinese winemakers did plant European grapes, but the wine product from these were made available only to the high classes of society. Similarly, in ancient Egypt too, wine became a product for the aristocracy. In rest of the Near East, wine was introduced in many different cultures, including the Jewish culture as a religious attribute in Judaism. This, in turn, would help the survival and progress of wine years later, when it was considered as an attribute of western Christian society. But, with the growth of Islam, the march of wine was stopped in its track in the nations that practiced this religion and that could otherwise have proved to be cradles of winemaking. The peoples of the Mediterranean began to emerge from barbarism when they learned to cultivate the olive and the vine. In fact, they went as far as adding a ‘God of Wine’ named Dionysus to their famous pantheon and established feasts in his honor. Another much more significant contribution of the Greeks was to introduce wine to most of the Black Sea coastal areas as well as parts of the Mediterranean. If one looks at the geography of the region closely, one will come across the interesting fact that while wine was invented first in the Caucasian mountains not too far from the north-eastern coast of the Black Sea, it had to take a few thousands year long detour through Egypt and Greece to reach the grapevine-friendly territories around the Black Sea! While Greece was not the first nation that included wine into its culture and spread it beyond its borders, it certainly was the first to make it a key element of their culture and an important product of its economy. The Greeks established many cities on the Black Sea Coastline, each of which had its own wineries that made wine using domesticated grapevines or adopting the local wild grapes. Also, they introduced wine to Southern France territories and possibly to Spain too. 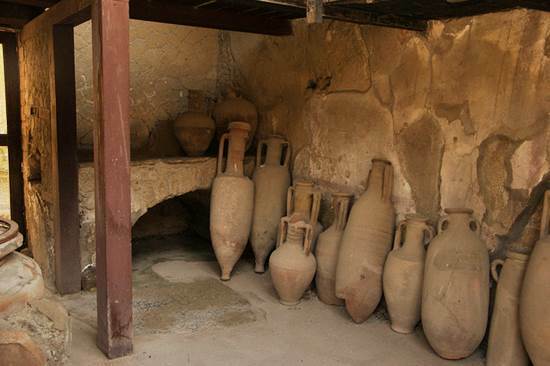 As mentioned earlier, wine became an important product of Greek trading and economy and they openly shared their knowledge of winemaking with many other nations. This helped lay the foundation of the basis that was later used by the biggest ancient contributor in the history of wine – The Roman Empire. As you’ll read further, the young Roman Empire, within a few decades, established wine as a strong symbol and spread it to most of Europe of the day. Finally, the Romans, of all the civilizations of the Ancient World, made, without doubt, the biggest contribution in the history of wine and were responsible for spreading this beverage to all of Europe. Of course, as mentioned earlier, it was the Greeks who first brought winemaking to Italy and started cultivating grapes in Italy. The Greeks had introduced winemaking in the south-eastern parts of Italy initially as the region seemed perfect for vineries. The local Italians quickly learnt and mastered the new art. By 270 BC, most of Italy’s territory was conquered by the still young Roman Empire. 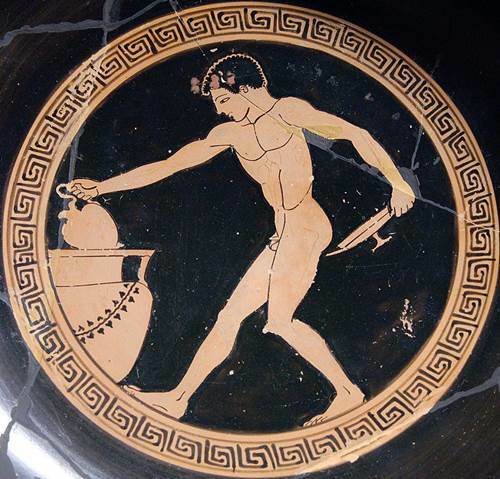 Just like many other things in the Greek culture, this new Empire adapted the technologies of winemaking as well as the Greek wine attitude from the southern provinces. The most important thing that happened during this time was that the Romans made wine available to all classes of society without discrimination – and even to the slaves. Obviously, this move created a huge demand for wine both on the Italian Peninsula as well as in the territories conquered by them. These territories included such wine friendly countries as France, Germany, Portugal and Spain where Roman traders began selling wine and it became a common product. Wine was beginning to be consumed, and wineries were established, even in those areas that would be annexed or conquered by the Roman military at a future date. Technically, the Romans developed a number of processes that can still be found in modern winemaking. Their huge contribution to modern winemaking can not be denied despite the fact that their wine was different and was a mixture of a whole range of beverages including grape juice, and some of which could even be ignited due to a high amount of alcohol. Wineries were established in every province to satisfy the respective local demand and became a key component of the complex trade structure of the time. Since a lot of Roman soldiers too had knowledge of winemaking and viticulture, they helped establish wine production in new territories where they advanced. One thing good about the Romans was that they willingly shared their winemaking art and skills with local populations that quickly adapted and followed them. With the passage of time, some of the provinces developed high quality wines of their own that were sold in the open market provided by the Empire, and that in turn allowed these successful winemaking regions to expand and improve their production. This open Roman democratization of wine was a key idea for them that was seriously tied to medical issues too. In those times, wine was often considered safer than the unknown local water sources and so, a low level alcohol wine was provided to Roman soldiers for newer regions. Even the slaves were given a cheaper version of wine to save them from numerous diseases and food infections. 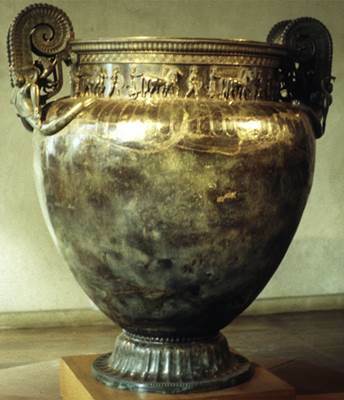 However, it was the Romans who were the first to care about the quality of wine such as its aroma, flavour and taste. So, it won’t be wrong to say that they formed the basis of modern winemaking and consuming by spreading it all over, including the Northern provinces that traditionally preferred ales or other local beverages. In time, like many other empires before and after, the Roman Empire too collapsed. However, due to their efforts while in power, wine managed to find a new and more universal home – that of Christianity. Also, the Romans were successful in forging a serious wine consuming culture in Spain and Britain, and both these nations later grew into powerful states, establishing the presence of wine, through their colonies, worldwide. Frothy.net is a website dedicated to sharing all of my favorite recipes for Frothy Drinks and Entertaining. Hope you enjoy all of these recipes and if you'd like to share your favorites with us, feel free to Contact Us.